Festive greetings, pilots, for our last little community round-up of 2017. 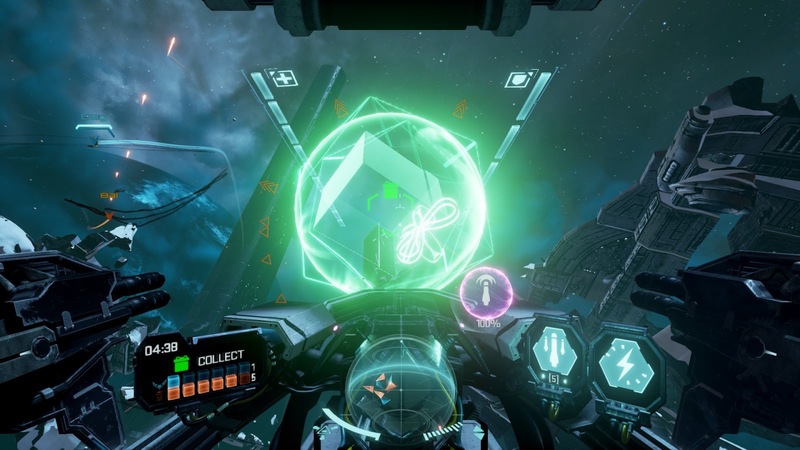 We hope your halls are suitably decked and your presents thoroughly wrapped, and that you're ready to sit back with a mince pie as we take a look at what's going on in the world of EVE: Valkyrie – Warzone. It shouldn't be news to you that the Winter Update is out now; we imagine you've already had an excellent time exploring the possibilities of custom matches and spectator mode, and blundered into at least one Moon Refinery laser. 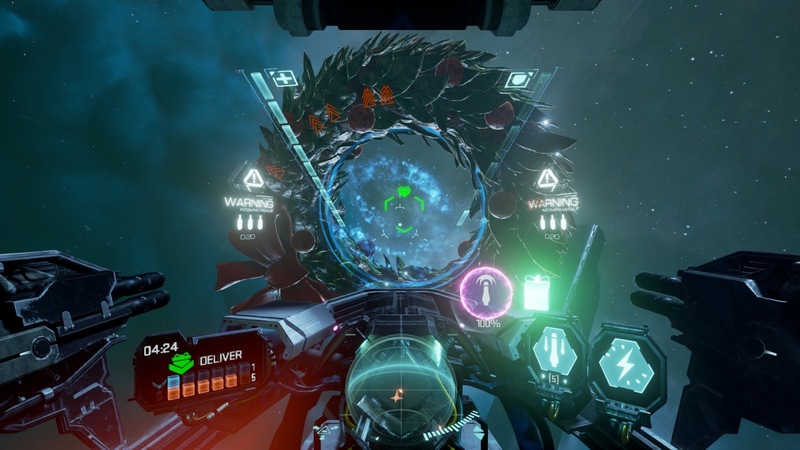 Maybe you've even ordered a Tobii Eye Tracker so that you can get a little extra cockpit advantage with VR-style head tracking on your flatscreen monitor, in which case we salute your dedication. Custom Cup – get involved! Now, then, it's time to put all these new Winter Update goodies to good use in the EVE: Valkrie – Warzone Custom Cup. It's an epic five-hour event that'll see teams of pilots made up of the streamers of the Valkyrie community and EVE Online's Streamfleet, battling it out in a double elimination competition that'll take full advantage of the Winter Update's custom match options, with extra fun events happening between matches as well as an attempt at breaking the P.A.W. Patrol Squad's Carrier Assault record of one minute 49 seconds. The whole shebang's going to be streamed live on the CCP Twitch channel, and thanks to the Winter Update's spectator mode you're guaranteed an excellent view of the action. It's all kicking off on 20 December at 21:00 UTC, and most importantly it's all for a good cause: once again we're raising money for the excellent people at Specialeffect, the charity that develops custom controllers to help people with physical disabilities to enjoy games. So whether you're joining in with the action or simply watching the stream and making lunatic suggestions for a bit of between-match entertainment, be sure to dig deep on Wednesday night and do a little good this festive season. You can find out more about the Custom Cup here. And while we're in a holiday mood, have you noticed our latest wormhole? It's called Deck the Halls and it sees us pull out all festive stops to provide you with the Christmassiest wormhole ever! We had a chat with ace pilot Anska about how it came together. What does everyone need to know about Deck the Halls? Deck the Halls is a fun little Christmas wormhole. It originates from a com talk on the community Discord where we were talking, and player neo-kryser said how a wormhole with extraction with a wreath and presents would be really cool. Of course, CCP Redcape was on coms and said that was a great idea, and then this appeared. It truly is really cool of CCP and shows they listen to the community. What features should pilots look out for? What you need to know about Deck the Halls is it an extraction map, but you're picking up a present instead and putting it into a Christmas wreath other than that it a regular drop-off point. And if you look at a lot of the structures, you'll see what looks like snow. What are the secrets to winning? Really as it's a Christmas wormhole I's say the secret is not to win but just to have fun; 'tis the season and all that after all. However, if you are really only there for the winning and have your heart set on it, you'll want at least the like of a Yurei for its super speed, one of the heavies for the warp drive; I've often seen the Vulcan as it has auto-heal on top of that drive. A Wraith is always good to have as a bodyguard to the present giver, or maybe a Kirin to hand out a welcome capacitor boost during that sprint to the drop-off point, and if you get a chance for a second support a Nagi or Medusa would go down a treat. If Santa flew a Valkyrie ship, which one do you think he'd choose? Oh man, that's a hard one! If it was for speed I would say Yurei, after all he's got to go through all of EVE handing out presents or coal to those that been naughty (man, that's going to be a lot of coal). If he needed help with presents I'd say Banshee, as I can just see little spiderbots with little elf hats on, handing out presents. What do you think, readers? Good point; let us know over on the forums! And whatever you're doing over the festive season, we hope you have an excellent time, and we'll catch up with you in 2018. So until then, fly safe!